I'm Adam. I'm from Kitchener, Ontario, Canada. 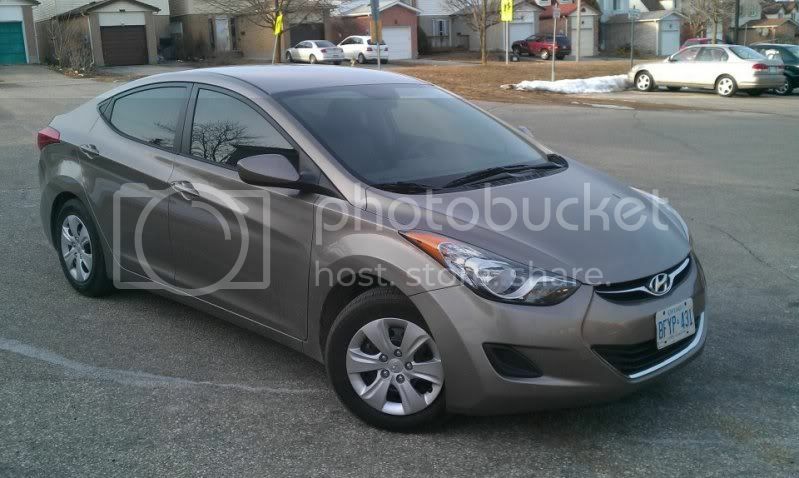 This is my Desert Bronze Elantra L.
My first brand new car ever, I love it! 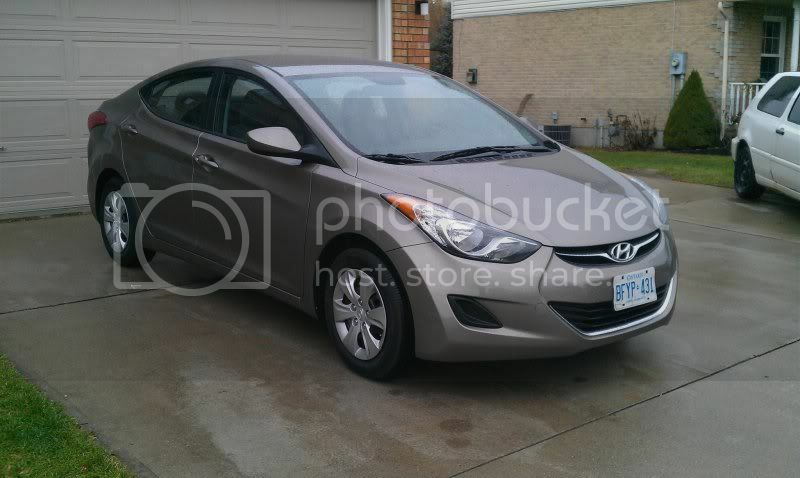 Hopefully I'll learn lots as this is my first Hyundai! Welcome to the club Adam. I really like that colour. Looks great on the Elantra. You will find this place full of great people and great advice. Nice to see another Canadian on here too. We look forward to seeing you and your car. Welcome! And as a fellow desert bronze owner I gotta say I'm partial to your car! We gotta stick together! Very nice -- Welcome, and keep us posted on your mods -- looks like you had fun with that Saturn. welcome aboard not to far neighbor! Plans so far are to keep it super clean. 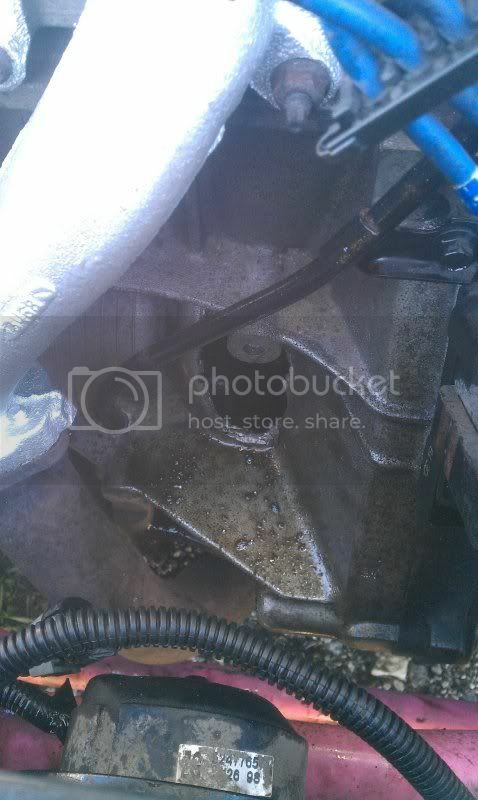 Lower it and find fog lights. Hey Adam.. nice looking machine there. Welcome to the club fellow Canuck! Not much done to it so far as the nice weather has only begun. I had the windows tinted by my friends at Xtreme Inc. in Cambridge, On. 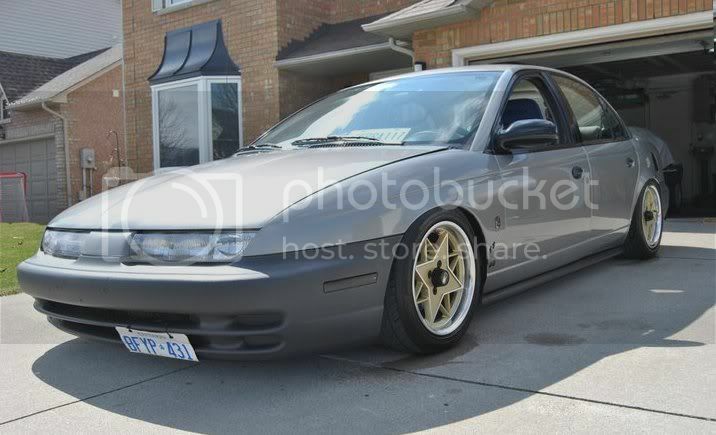 And that's how it sits so far, plans for the summer and rims and moar low. Do meets ever happen? 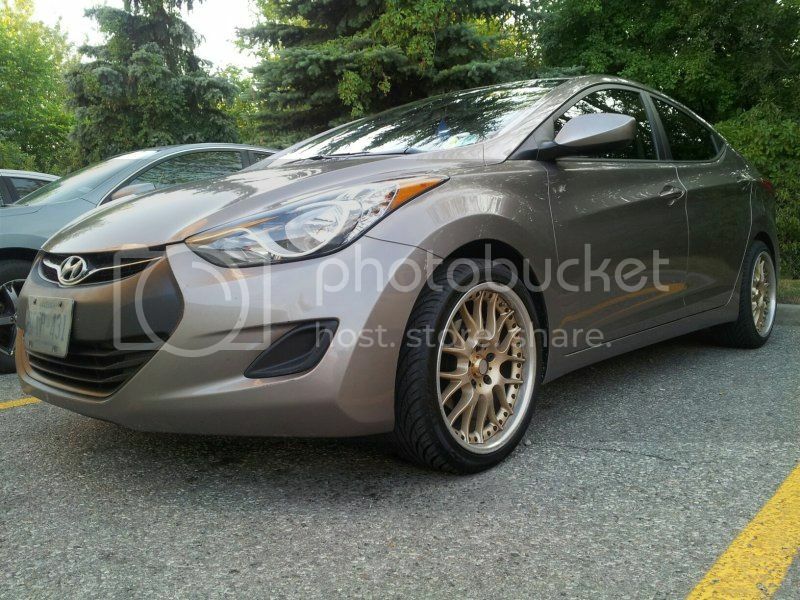 It'd be nice to meet up with some fellow Elantras! 2012 Car of the Year!!!! Welcome to the club! Nice choice for a new ride! Looks slick and you are right it does need "more low"